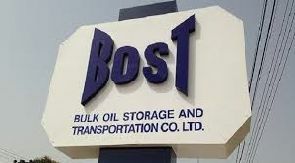 The Junior and the Senior Staff unions of the Bulk Oil Storage and Transportation Company Limited (BOST) have called on the government to move against what they describe as a cartel within the company sabotaging fuel prices. 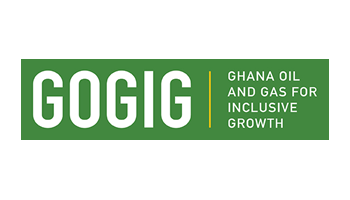 In a statement, the executives of the two unions stated that BOST is the only institution with the adequate infrastructure and the human resource capacity to bring petroleum prices down. Thus, they have said the government should pay attention to them and ignore the persons within the company who have formed a great cartel that has dominated the industry. 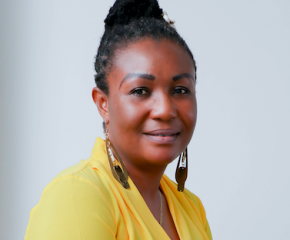 Prior to the Easter break, the executives of the two unions; Abdul Jamil, Ekow Sey, Mr. Mampaya, and Mr Newton Godfred Amoh, spoke on several radio stations mainly in Accra and Kumasi, where they cautioned the government against a “great cartel” in the petroleum industry. “…the government is preventing the same cartel from their illegal activities such as fuel dumping, diversion of premix fuel, diversion of marine fuel, adulteration of fuel etc. For this reason, they are not happy, and will, therefore, mislead the government by increasing fuel prices anyhow with the excuse that international fuel prices have gone up,” they said. They further stated that the great cartel has been in the system for long and will only be suppressed when the President, the Vice President, Chief of Staff and the Energy Minister understand the important role that BOST can play to bring petroleum prices down. 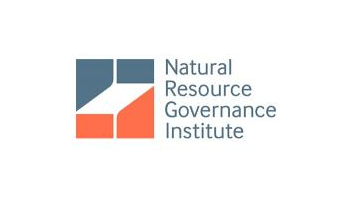 “Government should know that in the deregulation petroleum regime like ours without any giant governmental agency playing a role; even if the government removes all taxes the private sector which now controls the industry will replace it with profit in a smart way leaving the ordinary consumers in their vulnerable state; hence reducing taxes is not the ultimate option,” the statement added. On the part of Mr. Mampaya, the Chairman of the Junior Staff Union he categorically stated that in most cases those in right positions to deal with the problems are given wrong advice. It should be noted that although a large number of the population does not have cars to fill directly from the pump, however, they indirectly pay for the high petroleum prices when on board a Taxi or Trotro. Therefore the government cannot leave such a sensitive national issue wholly in the hands of a few private men who have formed a cartel to deceive the state. They pleaded with the whole country to disregard their political differences and support BOST to fight this cartel because they are the cause of the high petroleum prices. High petroleum prices affect everyone be it NPP, NDC, CPP etc so every Ghanaian must support BOST to bring it down to ease the pressure. He cautioned that if the government jokes with our advice, this great cartel whose members have made themselves kingmakers can worry the government in 2020 election because the ground is being prepared for that. He advised that if the government wants to dine with the cartel, it must be done fully by giving them all their needs otherwise they should ignore them completely. What is happening now is that BOST is crippled so petroleum market in the country has been taken over by the great cartel. On the contrary the government is preventing the same cartel from their illegal activities such as fuel damping, diversion of premix fuel, diversion of marine fuel, adulteration of fuel etc. Mr Newton Godfred Amoh who is the secretary to the Local Union also said most of the members of the great cartel are highly rich and can easily influence government officials to act unreasonably. He said apart from Ghana there is nothing called BDCs anywhere in the world but here the BDCs are controlling the affairs to the extent that in 2014 they took the entire nation into ransom. 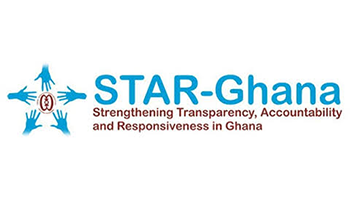 He further stated that when the great cartel realised that BOST was planning to redeem Ghanaians from the burden of high petroleum prices, they quickly attacked the Managing Director with baseless, malicious, illogical and childish accusations to halt the intended plans. He added that the great cartel has a lot of incredible civil society groups as their members and they always hide behind such groups and sponsor them to throw dust into the eyes of Ghanaians. When he took his turn, Mr Ekoy Sey the secretary of the Senior Staff Union expressed dissatisfaction about the Bank of Ghana and the Ministry of Finance’s refusal to waive the single obligor limit on GCB to offer USD 120 million line of credit to BOST for petroleum product importation. Agreement reached during Economic Management Team meeting should not be frustrated by the Ministry of Finance. He said the laws are made to make life easy for Ghanaians but not the opposite. He pointed out that today fuel price at the pump is about GHS4.51 per litre on the average leading to GHS20.30 per gallon but if this waiver is granted BOST can bring the price down to about GHS 4.00 per litre and GHS 18.00 per gallon which will be affordable to all and most importantly BOST will be able to maintain the same price for a very long time through the trading arrangement existing between BOST, GO Energy and Goil. This is the man who has blocked most of the loopholes in the company and has attracted enemies to himself but has vowed to standby his plans to turn the company round in order to leave a mark irrespective of the sabotage and the frustrations. What amazes the staff is that he has brought unity to the company, assign everybody contrary to the previous administration where some people were on old salary scale whilst others enjoyed new salary scale. A few people who are agents of the great cartel will soon be exposed and hope that the MD will sanction them accordingly. As we speak two staff suspected to leak fake information to outsiders have been interdicted and a five member committee has been set up to investigate them and submit their report within 2 weeks. If found culpable I have no doubt of management sacking them summarily. “We cannot sit down for a few people to destroy BOST which is strategically positioned to serve the nation just because of their selfish interest which is always placed above the national interest”: Mr Abdul Jamil stated. He enumerated some of the policies that the new Managing Director has brought to BOST which is causing all the hatred and dislike by the members of the great cartel. The excellent decisions to save the company is the cause of the frequent attack on him since he assumed office in January 2017.